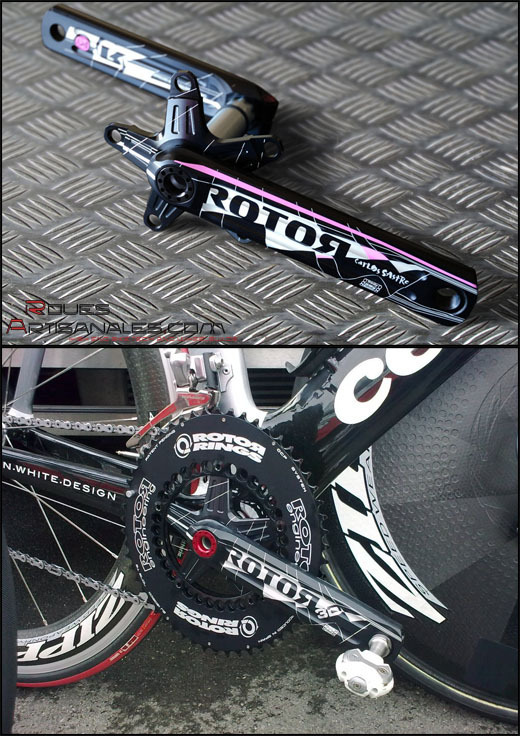 Carlos Sastre is currently testing new crankarms from his sponsor Rotor. The previous « grated cheese » crank seems to have persuaded the youngest racers of the small clubs, but not pros racers with shrill thighs. Indeed, they certainly quickly overcome this type of construction which looks like a toy instead of a part able to equip a pro racers… The stylistic effect was nevertheless worth a presentation some months ago ! This new crankarm 3D is of a new type. They didn’t drill, machine it everywhere but used a pretty mass dug in three distinct tubes, which should be coming with rigidity and low weight in theory. Verdict in next weeks, we will see if the racers use them. pedal. This new speedplay leaves the body in resin and becomes even more minimalist. 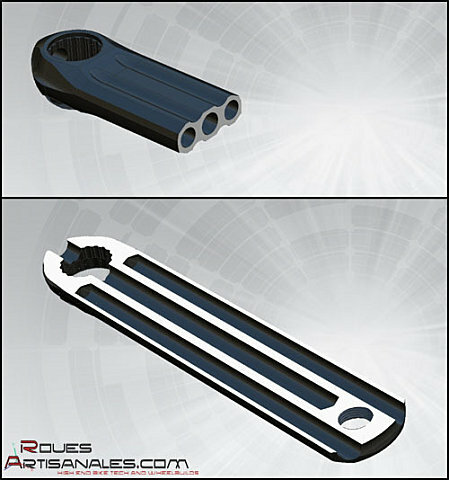 Only the strict necessary parts for the clip / unclip are kept. The body now seems to be made out of aluminium. 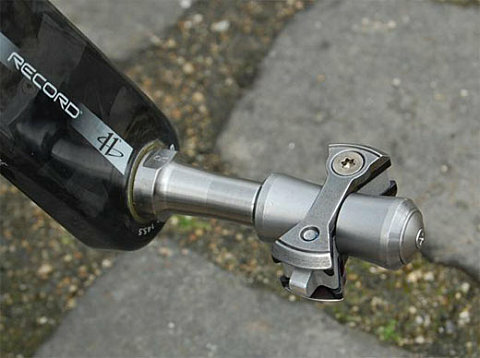 This pedal may become the top of range with a weight indeed under 130 grams, with an Titanium axle . The engagement system of this new pedal seems to be changed. 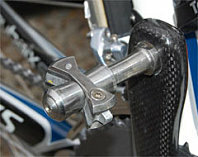 The pedal presents an lug both on front and back sides. At the moment, we have no information about these pedals, except the pictures. We should know more about it shortly… Wait and see.